Shatterproof solid colour trays manufactured from High Impact Polystyrene (HIPS). Designed to give easy access, these high quality trays are a simple, robust and effective storage system. Available in either A3 or A4 sizes. The Glide & Tilt system holds trays open in an angled position to aid use, while trays are made from a super-tough, shatterproof polystyrene and are suitable for both Medical & Education range of trolleys. 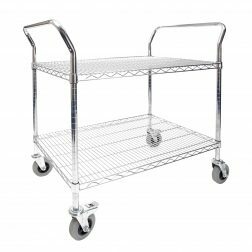 Bedford’s range of Tray Storage Trolleys are one of the safest, toughest storage solutions in the marketplace and represent great value for money.